Nile Union Academy in Cairo, Egypt, recently constructed three new classrooms through the help of Maranatha Volunteers International. 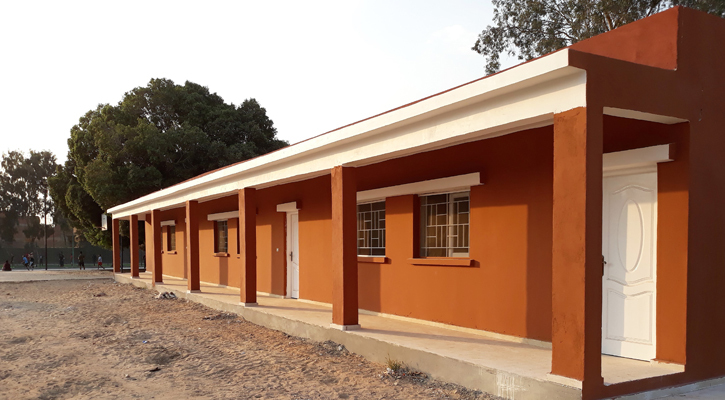 The new structures will enable the Seventh-day Adventist School to start a small elementary program on campus. Already, the space is being used for multiple classes each day and for study halls at night. Church members are also using the rooms for Sabbath School classes on Sabbath. Last year, Maranatha mobilized a small group of volunteers to Cairo to assist with the project by pouring floors. Nile Union Academy has been providing quality Christian education to secondary students for more than 60 years. The addition of a primary school will make a great impact in their mission to share the Gospel. It will also allow the young children of faculty and staff to attend a Christian school.